Be updated – Be updated with the latest software always, as the old software versions and your new phone may not have a good performance and eat up battery, as said by Apple. You can easily update by connecting your iPhone to the computer, and in the summary, just click “Check for updates” and you can be done easily. Maps – Location services > This one requires the web connection all the time, and being connected would always eat up the battery unnecessarily, especially when you really don’t have a need of checking the location. So its better to keep that Location services disabled if you are not finding any benefit of it. 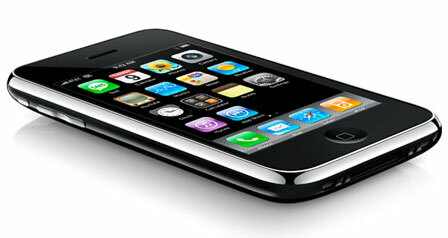 No heat, no cold > Try to keep the iPhone in a temperature between 0° C and 35° C for its better performance. Keeping it in extreme cold or direct sunlight heat conditions would affect the battery directly. Turn off Wi-Fi > This might be not most of the times, but when ever you are not really using Wi-Fi, this is a big suggestion that you turn off that service, as it eats up battery. More Wi-fi, less Cell networks > Its a suggestion from the Apple guys, that you should use more of the Wi-Fi based internet connection in your iPhone rather than the cellular network internet connections, as battery used through Wi-Fi is far lesser than what is used through the cell network connections. Don’t keep it packed > Your device needs some air while getting charged. Don’t keep the phone packed in any case while charging. As you would notice it getting heated, and repeatedly doing the same would affect the battery life in future. So, keep it open while charging your iPhone. Slow down Mail Autochecker > The mail autochecker which automatically refreshes itself and checks for the new mail, is 15 minutes for default. It simply wastes your battery when you really don’t need to check any new emails. You can increase the time by change the time by going to Settings > Mail > Autocheck and change it to any time you desire. Airplane Mode when no network > Airplane mode is a profile where your internet connection is turned off, and other services too are limited. It uses the minimum battery. Once you see yourself in a place where there is no network coverage, the phone tries to find for the network and so the battery is used up for no use. Its better to switch to the Airplane mode when you are in no-coverage areas. Limited 3G coverage? Disable it > 3G rocks and always tries to load the data faster, but only when you are in an area which has full 3G access and coverage. But when far away, you just can’t keep it on as more battery is used up trying to gain more access to 3G. So, disable when 3G coverage is not full. Go to Settings > General > Network > 3G – Enable Off. Enable the Auto-lock > Being a touch-screen phone, its not uncommon that your phone screens gets touched when in pockets and calls can go or applications can open unknowingly, so keep the auto-lock option enabled so that the phone gets locked automatically after a certain time, causing no problem and keeping your phone silent. Low brightness also helps > Having high brightness doesn’t at all affect the life of the battery, but still if you are trying to be a lot conservative, then you can adjust the iPhone brightness and set it to low which saves battery. You can do that by going to Settings > Brightness > Drag the slider to left side to decrease the brightness. 3rd party applications funny but eat-up > There are a lot of third party applications, like fun programs, games etc. which makes your gadget more geeky and interesting, but they persistently keep your iPhone light On, and this eats up a lot of battery. There is no need of removing those just to keep your iPhone battery work better, but you should minimize their usage. Use your iPhone regularly > A strict rule given by Apple developers. 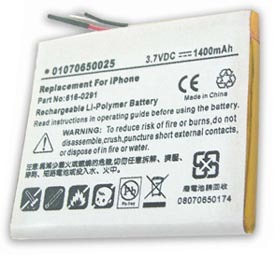 Said that it is necessary to get the electrons in the lithium battery of iPhone moving occasionally. It means you have to go through at least one charge cycle a month. 1 charge cycle = Charging to 100% and completely running it down. This makes your battery performance better. Great article! What I found was that turning of 3G made the biggest difference to me, not it actually last the whole day. It’s great especially if you don’t need 3G internet which I don’t I use Wifi mainly for internet access. Here is a list of iPhone tips that I found interesting http://www.tiphub.com/82_Great_tips_for_using_your_new_3G_iPhone.html I like the point about being able to download images from Mail or Safari. Apple has theirs also http://www.apple.com/iphone/tips/ but it feels a lot drier and more of a manual. I have to say, iPhone is acturally powerful! Nice post Chetan. I really hate phones with low battery life. This post really helps. Thanx! Wait, how much longer will it last if you were to do all of that? Didnt expect that my comment on shoemoney would be read and linked from the post 🙂 Anyway nice tips there in! I would also like to know how much more battery life will I get out all of this. I can see some of the features might train the battery. Thanks for the tips. The problem with the iPhone is the inability to access the battery to change it after using it for a couple of years. No other phone does this, it gets quite annoying! Turning off WiFi and Bluetooth really helps, thanks for the tips.